As we were all recovering from our new years hangovers, talented beatsmith Sango was kicking off 2014 in the way he means to carry on; releasing dope new music for our listening pleasure. Following on from an amazingly successful year in 2013, where the Seattle native released arguably one of the best albums of the year in the form of North, Sango has released his own mash-up of Justin Timberlake's perennial hit "Cry Me A River" and Aaliyah's sultry R&B slow jam "One In A Million". Sango, who resides in Michigan, has managed to keep the most recognisable elements of both tracks whilst still managing to add his own little signature touches to the mix. He adds the soulfully delicate vocals of Aaliyah to the original instrumentation of "Cry Me A River", whilst throwing in his own bassline, 808's and shuffling hi-hats creating an eclectic beat that really makes the track move. 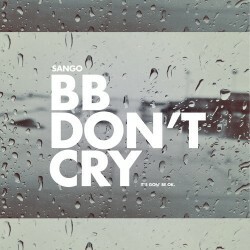 With the release of "BB Don't Cry (It's Gon' Be Ok)", it appears that Sango is already making a statement of intent, with 2014 only a couple of days old. It's definitely going to be an interesting year for one of the most exciting producers around at the moment, and with talk of another album in the pipeline, you'd better keep your eyes and ears locked onto EARMILK for all the latest music from Sango. "BB Don't Cry (It's Gon' Be Ok)"